Obituary for Ruthie Jean Maxey | L.E. Black, Phillips & Holden Funeral Home Inc.
Services will be 2:00pm Monday, December 3, 2018 at L.E. Black, Phillips & Holden Funeral Home for Ms. Ruthie Jean Maxey 64, who departed this life November 24, 2018 at Canfield Healthcare. Ms. Maxey was born December 22, 1953 in Little Rock, Arkansas a daughter of Alonzo and Willie Maxwell Garron. She was a graduate of The Rayen High School and was a homemaker. 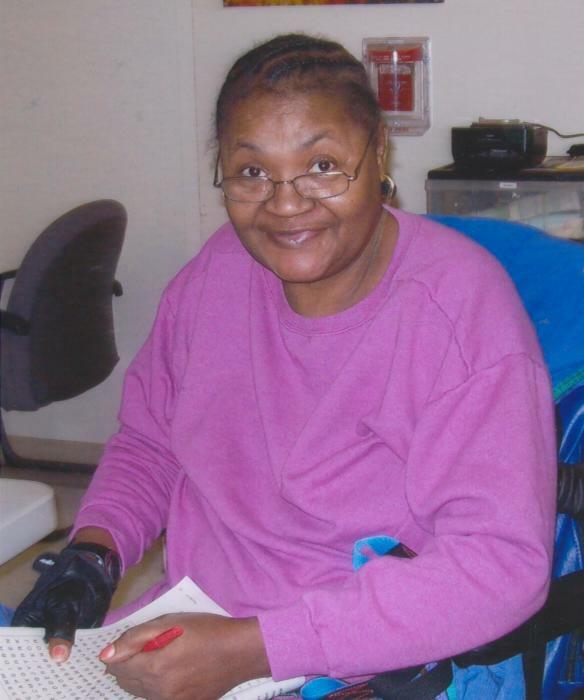 She loved watching wrestling, cooking channels and soap operas and doing crossword puzzles. She leaves to cherish her memories her mother, Mrs. Willie Garron; two sons Lorenzo Maxey Sr. (Traci Gilmore) and James Maxey; a sister Amy Garron (William); a brother Isaiah (Rochelle) Garron all of Youngstown; twelve grandchildren, Jayvon, Alissa, Ravon, Isaac, Eric, Shyandra, China, Tray, Tyona, Keneen, Stacie, Heaven; a niece Brianna and; and nephews Dewaylyn , Stephen, Kevin and Kenan and host of other family and friends. She was preceded in death by her father, grandparents and the love of her life Lorenzo Wilson. Friends may call one hour prior to the services 1-2:00pm at the funeral home. The family would like to thank the staff of Canfield Healthcare and Cross Roads Hospice for the care and service given to their loved one.